When I took this photo yesterday, I was almost done with A Feast for Crows, and I was feeling the same ambivalence I’ve felt at the end of all of George R.R. Martin’s other books: so glad to be almost done and yet strangely eager to start reading the next installment right away. 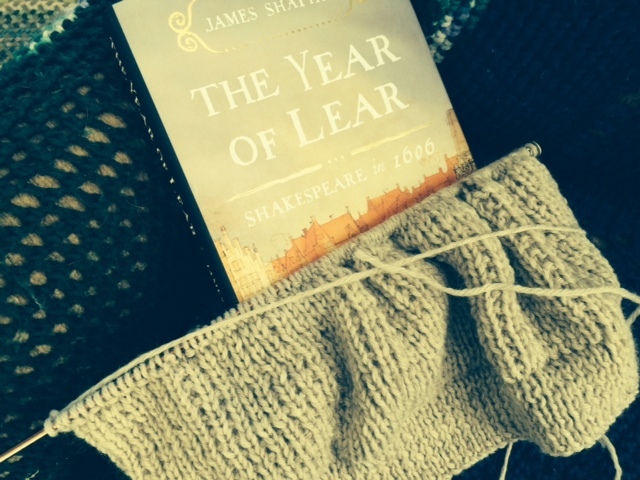 However, I did read the first chapter of James Shapiro’s new book The Year of Lear, and I am already loving it and will have lots to say soon. 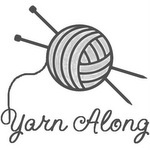 I didn’t have much time to knit this week, so my “oatmeal” sweater is only a few rows longer than it was last week. I look forward to catching up this weekend. Thanks! It’s a common breakfast for me as well.